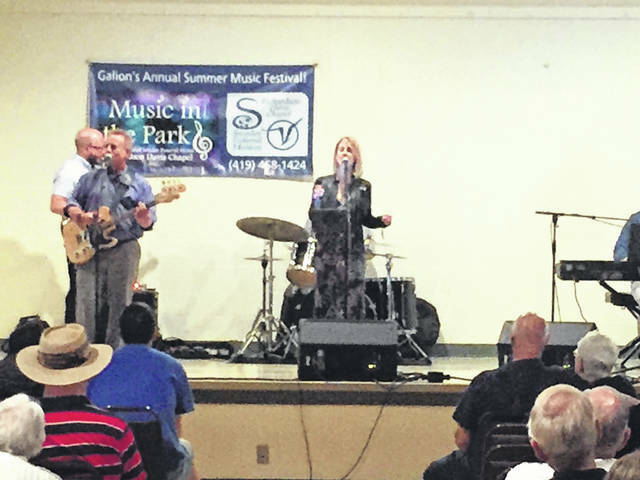 GALION — Mother Nature hasn’t been kind to this year’s Music in the Park performers and fans. For the second week in a row, the Tuesday night concert was moved indoors, to St. Joseph Activity Center due to the threat of rain. Nonetheless, a large and enthusiastic crowd was entertained by Columbus entertainers Big Daddy Blue, who played music from the 1970s, through the 1990s. The show lasted for more than 90 minutes and fans asked several times for the band to be invited back again. The final show of the year is Tuesday, July 3 at Heise Park, weather permitting. The concert series is sponsored by the Richardson Davis Chapel of Snyder Funeral Home. Tuesday’s show is local act the Crazy Gringos, with the music starting at 7 p.m.